Maurizio Sarri has asked his Chelsea players to improve their mentality after being left frustrated with how the Blues thought they would “easily” beat Newcastle on Saturday. Chelsea got off to a perfect start against the Magpies at Stamford Bridge after Pedro scored in just the ninth minute. But the hosts allowed Newcastle to increasingly control the first half until they made Chelsea pay with an equalizer, which came when Ciaran Clark headed in a corner kick in the 40th minute. However, Chelsea went on to win the game 2-1 thanks to Willian’s superb curling effort in the second half, but Sarri revealed he felt his players had thought the game against Newcastle was going to be easy. “I am really very happy with the result. 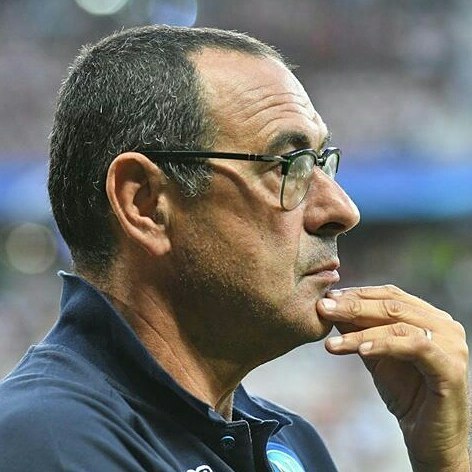 I was really very happy with the performance at Tottenham,” Sarri told reporters. “Today we started very well for 10 minutes. After the goal I think we thought ‘now it’s easy’, but it wasn’t. “We slept for 20, 25 minutes, so at the end of the first half we were in trouble. “We need to improve in the mental reaction. After our first goal something happened. We stopped to play for 25 minutes.